Nuclear Energy Power And Utility - Industries - ZT | Zippertubing Co.
Nuclear energy, power, and utilities are industries that value and require quality and reliability. All of these utilities provide a service to customers, who expect the supply to be dependable and uninterrupted. For their customer’s sake, it’s important for these companies to ensure there is no loss of service, communication, or power. The products used for operation and prevention must meet the highest quality standards, and be designed to last. Power companies deal with many power-generating stations, substations, and distribution networks. All of these locations have large quantities of wires and cables, with a vast variety of voltages and power ranges. Therefore, if repairs or retrofits are needed, they must be done quickly and effectively. 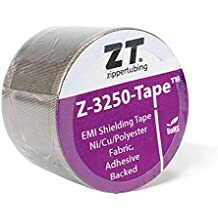 Zippertubing® carries a wide variety of products that offer convenient and efficient system repairs and maintenance, without disconnecting any important cables or wires. You can keep your business running 24/7. In addition, Zippertubing® has many products to help properly bundle, shield, protect, and organize all of these applications, allowing providers to continue offering reliable services to their customers. Here are just some of the products we have related to the Nuclear Energy, Power and Utility industry! The environmental requirements for the nuclear energy, power, and utility industries can range from general factory settings to harsh outdoor environments. 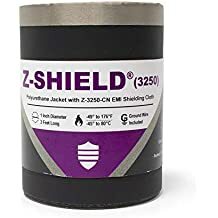 Zippertubing® provides products that are designed to protect and shield wires and cables from natural elements, including rodent deterrent, and products that are made to last in extreme heat or cold conditions in the field. Zippertubing® also manufactures products that can meet tougher requirements for issues that may occur within power-generating stations. Whatever the problem or need for prevention is, Zippertubing® has the tools, materials, and manufacturing capabilities to provide you with the perfect solution. Provide trusted, reliable, quality, uninterrupted power and utility to your customers. Depending on how power is generated, the systems used to conduct power can elevate to very high temperatures or be exposed to harsh chemicals. Using Zippertubing® products will help you to prevent and protect against both common and unique mishaps in the nuclear energy, power, and utility industries.